This is truly a golden age for musical artists and talents to be discovered, owing all to the internet and technology. Every day musical talents are being discovered through channels such as YouTube and SoundCloud, and mobile technology is doing its part too. An amazing service that has been a part of the iOS for a while now, GarageBand offers users a virtual music studio at the touch of their fingertips. 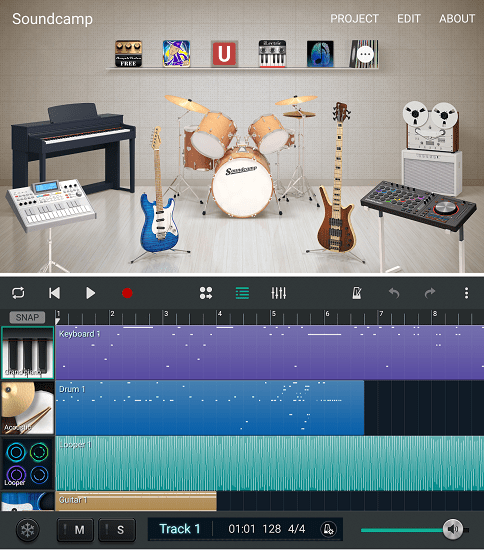 If you are an aspiring musician or composer who is looking to get their hands on GarageBand alternatives for Android, you’ve come to the right place. Many music artists have regarded Stagelight as the Garageband Android alternative that supersedes expectations on every front. 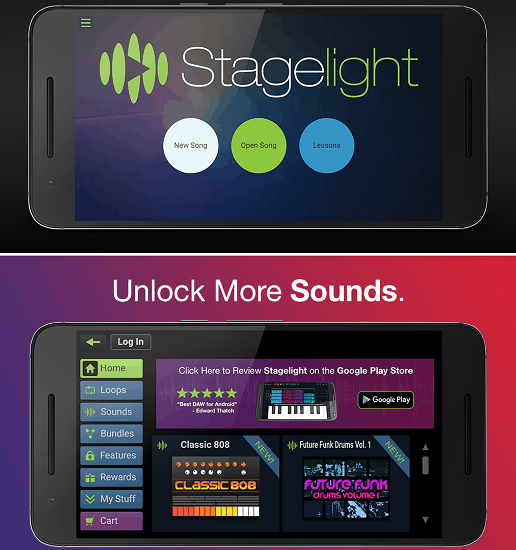 Offered as a free service with in-app purchases to make sure you pay only for what features you need, Stagelight comes with advanced lessons and tutorials on learning how to use instruments, making beats, mix loops and entire sounds tracks and so much more. Any musician who is serious about creating a soundtrack will probably need a whole lot more than a GarageBand alternative app to do so, but there’s no better way to create mesmerizing music on the go than with Music Maker JAM. Apart from creating your very own beats, loops, and melodies, this app comes with a massive collection of studio-grade content for you select, along with more than 200 music style packs. 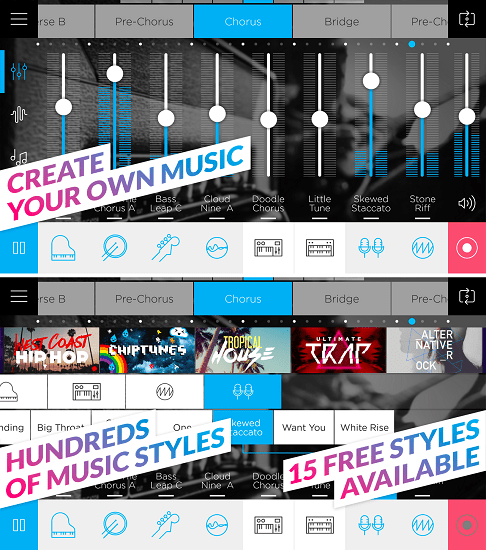 Adding a social element to the art of music creation and composition, PocketBand helps you not only create wonderful tunes but also share it with fellow music artists all around the world. 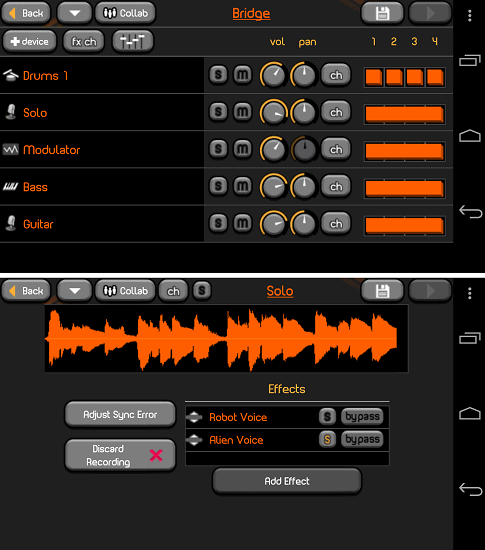 Generating music is simplified with loops and audio recording options, while the app offers 12-channe mixers, 3-band parametric equalizers, modulators, and much more. Although the user interface and design of PocketBand could use a facelift, it gets the job done. A relatively unknown GarageBand Android alternative created by Apple’s biggest competitor on the Android side, Samsung Soundcamp looks polished from top to bottom. With a beautifully designed user interface and several preloaded instruments for you to create beats, real-time audio recording with support for USB analog audio accessories, Soundcamp cuts pretty close to being a replica of GarageBand, even if it isn’t at the top of the music editing apps.